HUBER+SUHNER is a leading international producer and supplier of electrical and optical interconnectivity components and systems. Core capabilities in radio frequency, fiber optic and low frequency technology are united under a single roof. The success of the company’s high-grade standard products and customised applications based on its cutting-edge knowhow in radio frequency and microwave technology, supported by advanced simulation processes. 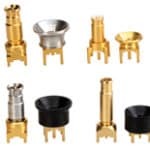 RF coaxial connectors HUBER+SUHNER offers a wide range of RF connectors for various applications. The products are used in markets like radio base stations, medical, space, defense and other industries. The product portfolio is being constantly refined. 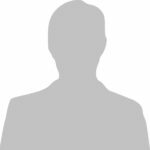 New market trends and customer requirements drive product developments such as MBX, MXP, MMPX. Additionally HUBER+SUHNER supports its customers worldwide with application engineers, helping the customers in selecting the right product for each specific application.